In a historic deal with Shanghai Waigaoqiao Shipbuilding Co., Ltd. (SWS), ABB will supply a comprehensive power and propulsion package for China’s first domestically built cruise ship. 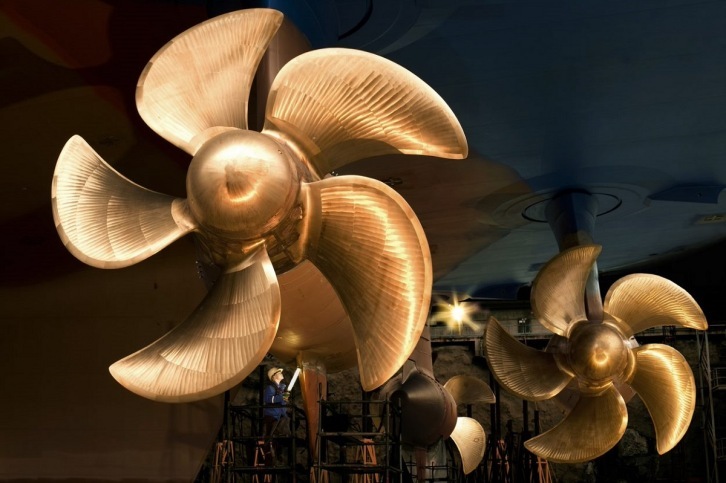 The Azipod® steerable propulsion systems, also used for the construction of China’s first ever home-grown cruise ship, due for delivery in 2023. Image by ABB.